Gig Werks Contract Lifecycle Management solutions, built on SharePoint and powered by Nintex, offer unprecedented value and scalability across the enterprise. 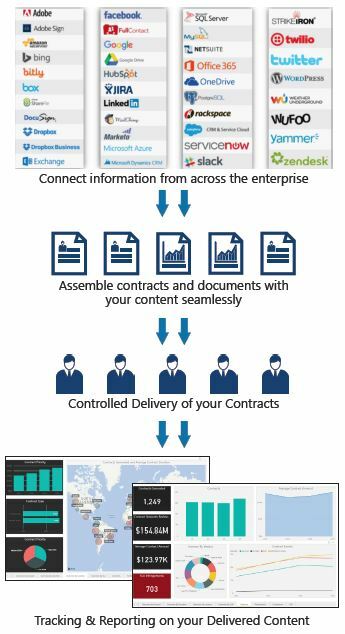 Bring together data and information across your company to create a seamless user experience connecting systems such as DocuSign, Salesforce, Microsoft CRM and a myriad of other cloud and on-premise information systems to easily assemble contracts and documents and control the delivery and tracking of that content. Contract Lifecycle Management (CLM) is more than just storage & contract management its a collaborative user experience connecting departments & information across the enterprise.